The GSMA today announced the first speakers for its Mobile 360 Series - Middle East and North Africa (MENA) conference taking place 9-10 October in Dubai, United Arab Emirates. The two-day event, which is now in its fifth year, will bring together senior-level delegates from across the region to debate and discuss the key opportunities and challenges facing the mobile industry. The program includes topics such as the Internet of Things, 5G, digital identity, artificial intelligence and more. "Through long-term investment, mobile technology is radically transforming the lives of businesses and citizens across this diverse region and having a significant economic and social impact," said Michael O'Hara, Chief Marketing Officer, GSMA. 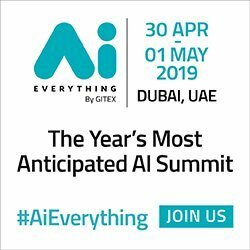 "This year's Mobile 360 - MENA event has an amazing line-up of high-profile speakers who will address the key issues shaping mobile in the region, now and in the immediate future. We look forward to welcoming attendees to this year's show." Mobile 360 - MENA includes a mix of keynote presentations, panel discussions, workshops and in-depth case studies aimed at senior-level decision makers across the region. 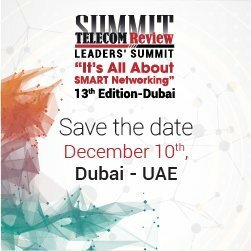 The event, which regularly attracts senior-level leaders from mobile network operators, network infrastructure vendors, governments and regulatory bodies, and content providers, provides delegates the opportunity to hear insights from senior leaders across the industry. This year's agenda includes perspectives from across the ecosystem, with sessions such as 'Smart Cities and Connected Cars,' 'The Case for Dynamic Governance and Regulatory Modernisation' and 'Financial Inclusion and E-Commerce'. This year, the event also includes a dedicated session on North Africa and a new Start-ups Showcase. Mobile 360 - MENA will be co-located once more with GITEX at the Dubai World Trade Centre in Dubai. The event will be held in the new Za'abeel Hall 6, close to Gulfcomms, within the Dubai World Trade Centre. Industry leaders supporting the event include Etisalat (Host Sponsor), Bank of Khartoum (Gold Sponsor), Huawei (Global Industry Supporter Sponsor), Global Certification Forum (Showcase Sponsor) and Mobile Arts (Supporting Sponsor). For further information on Mobile 360 - MENA, including sponsorship opportunities, please visit www.mobile360series.com/mena/. Follow developments and updates on Mobile 360 - MENA (#M360MENA) on Twitter @GSMA, on Facebook www.facebook.com/Mobile360Series and LinkedIn on www.linkedin.com/company/gsma-mobile-360-series. Download the event app for further information: www.mobile360series.com/app/.